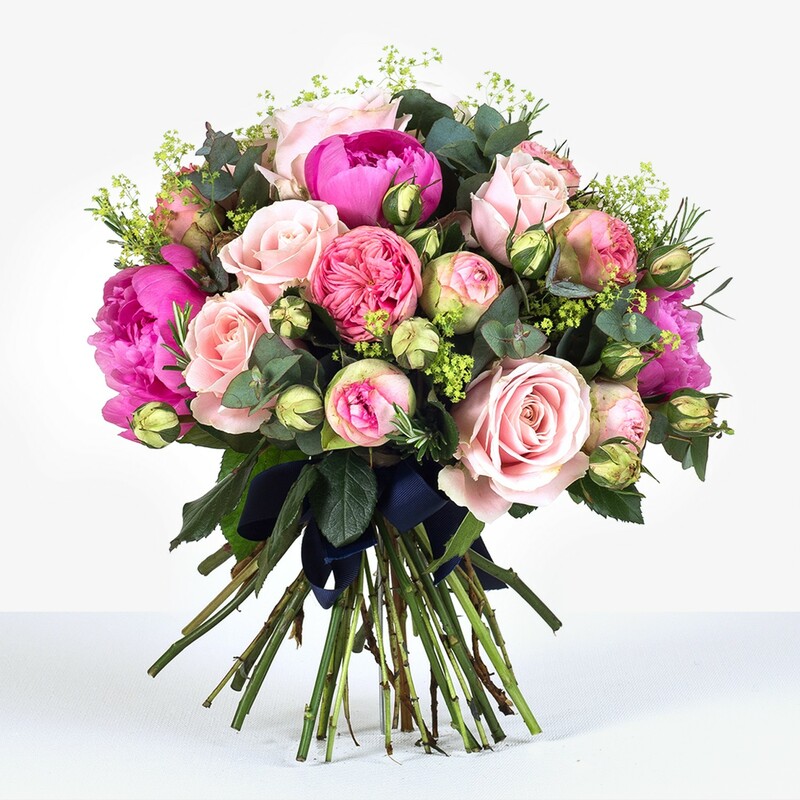 Fabulously showcasing the very best of the classic rose and the vibrant peony, this is a magnificent tribute to the glory of pink blooms. The sumptuous and deluxe bouquet is a gorgeous combination of cerise, hot pink, and gentle pastels, while the feathery freshness of summer foliage adds a whimsical touch. The medley of colour is perfectly offset by an elegant navy ribbon. This stunning arrangement consists of resplendent peonies and various shades of regal pink roses, brought together with a selection of soft foliage, and creates a bouquet that will inspire gasps of admiration and delight from all.